The Actis H Control Hybrid Insulation is the benchmark for reflective hybrid insulation. This innovative product is a reflective vapour control layer with a built in thermal performance. Intended for use on the warm side of any insulation material (usually behind the internal finish in roofs, walls, and ceilings). The Actis H Control Hybrid Insulation offers dual properties in one product – a vapour control layer and insulation – which will greatly cut down on the number of installation steps you have to take. 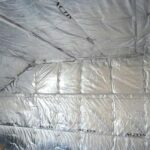 It will still reduce the thickness of the main insulation in order to achieve the same required U Value. Available in rolls of 10 m2 (1600 mm width in a 45 mm thickness), the Actis H Control Hybrid Insulation can be used in conjunction with any type of insulation material (such as foil boards, et cetera). Actis specialises in the design and manufacture of innovative insulation and building products. To ensure maximum quality, all of the components that go into an Actis product are manufactured in house. Founded in 1980, Actis is now the leader of the European market in the thin multi foil insulation sector. Actis knows that good insulation is not just a question of thickness. It is also essential to ensure that the results are long lasting and tested under real life conditions. This is why Actis have implemented a comprehensive dual assessment system for all of their products – so they can guarantee complete airtightness. 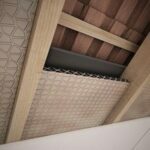 Why use Actis Hybrid Roof Insulation?